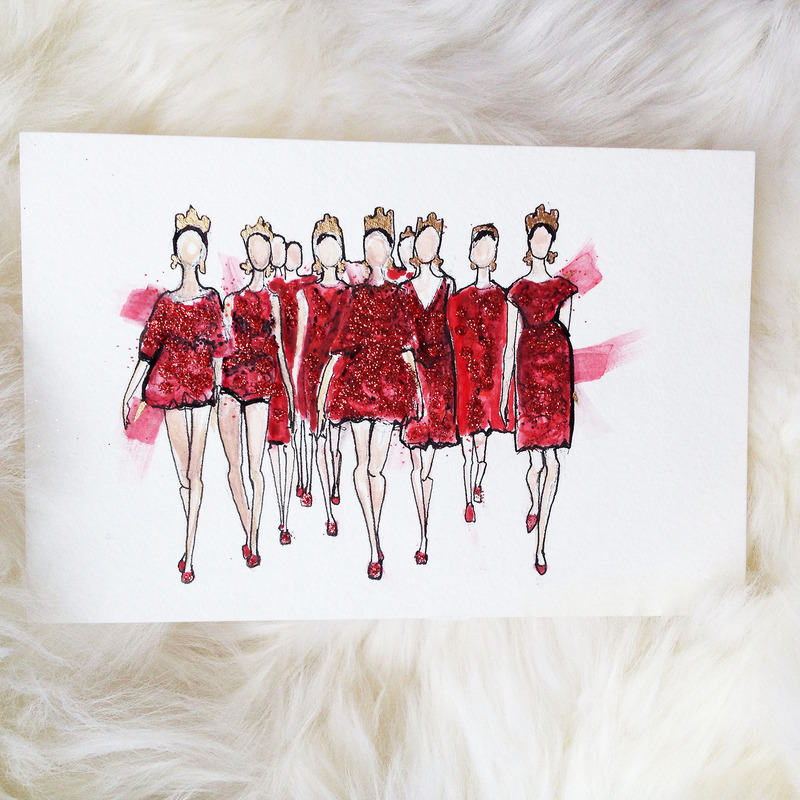 Fashion illustration by Jeanette Getrost. Image used with permission by Jeanette Getrost. 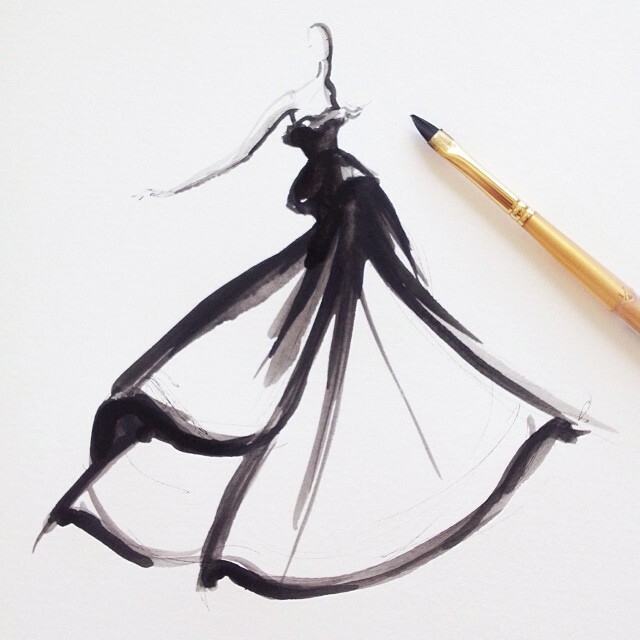 Jeanette Getrost is a fashion illustrator with a unique style, which displays graceful lines and oftentimes an intentional lack of facial features keeping the focus on the the femininity of the garments. Getrost is inspired by fashion designers such as Dior and Zac Posen, but also the simpler things in life like the changing of the seasons or her own daily outfits. She has even started incorporating philanthropy into her work. In the month of February, she donated 25% of all purchases from her Dolce & Gabbana Red Finale illustration to the American Heart Association “Go Red for Women” campaign. Hear what she had to say about her current work and her future plans. 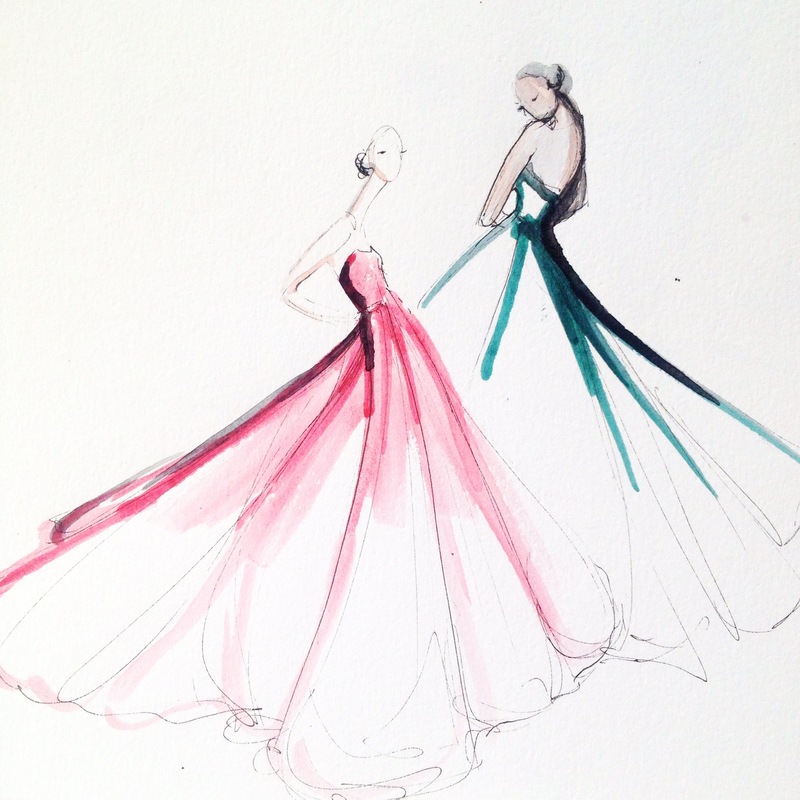 How did you become a Fashion Illustrator? When I was teen I thought that I wanted to be a fashion designer, but I soon realized that I really just loved drawing clothes. I wasn’t even very skilled to be honest, but I was eager to learn so I chose to study fine arts at a community college. It was there where I really developed an eye and understanding for illustration. 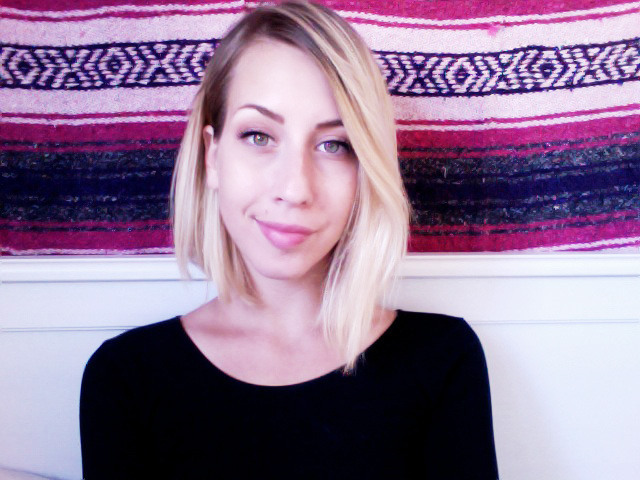 After college, I worked full time in art galleries, and for a fashion brand in Los Angeles while illustrating logos and greeting cards on the side. Recently, in 2013, I left my 9-to-5 and chose to fulfill my real passion as a freelance illustrator. It’s been the scariest, most rewarding decision I’ve made. 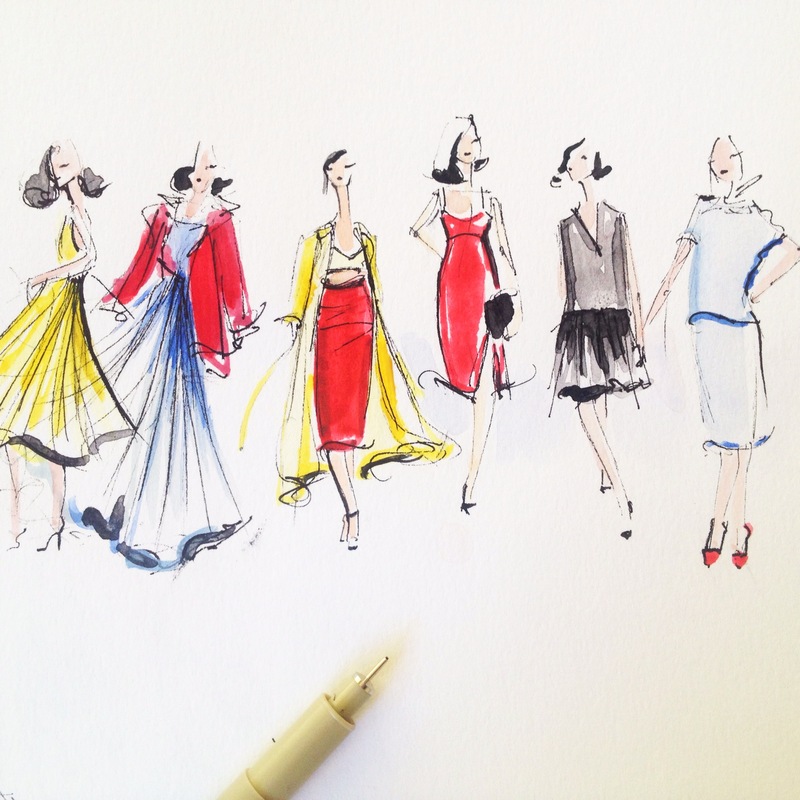 Jeanette Getrost, fashion illustrator. Image used with permission by Jeanette Getrost. What mediums do you currently use in your work? I use Micron pens pretty exclusively and watercolor (I like the brand Holbein). Sometimes when I’m feeling adventurous I’ll embellish my pieces with glitter. 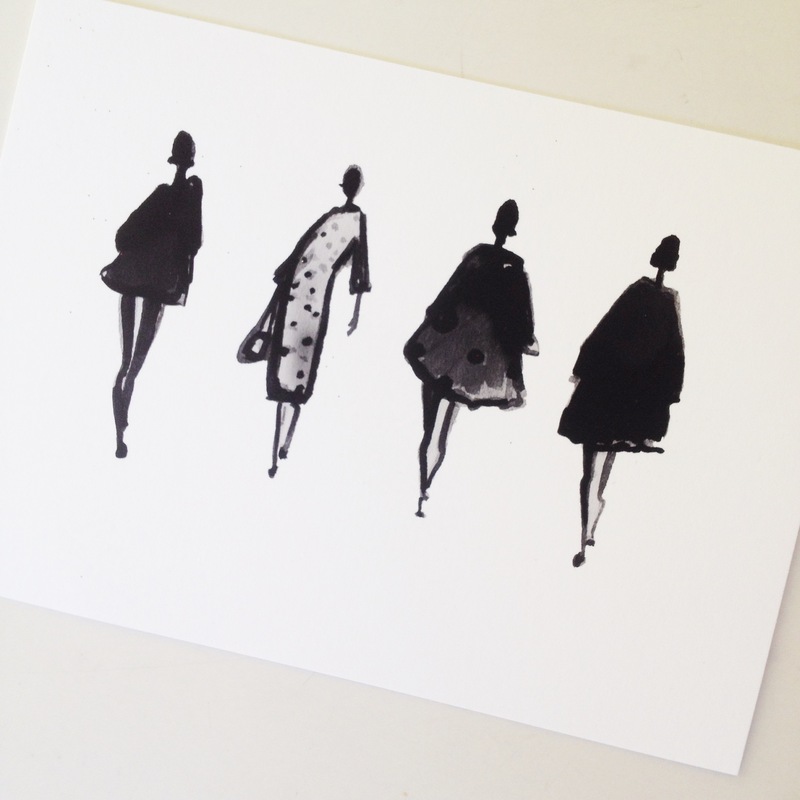 Can you give other Fashion Illustrators a few tips or tricks of the trade? Take a life drawing class. I can’t express how helpful it is to learn the anatomy of the human form. Knowing and understanding proportion, and how to exaggerate the line can really bring your work to life. My next advice would be to draw every day. It’s really the best way to develop your own unique style. When I first started illustrating, I would get so inspired by other artists that I found myself mimicking them instead of staying true to myself. I still struggle at times, but every day I feel like I get closer to achieving my vision. It’s key to be patient and accept that creative work is an ongoing process. Lastly, showcase your work through social media! So far, what has been your favorite illustration project? I’m currently illustrating a children’s book, which has been a lot of fun, and a lot of work. This project is a lot more technical than my usual gestural style of illustrating so I feel like I’m exercising both sides of my brain. It’s also teaching me patience. This is the first time I’ve worked for several months on one project, and I can only imagine how rewarding the end result will be! 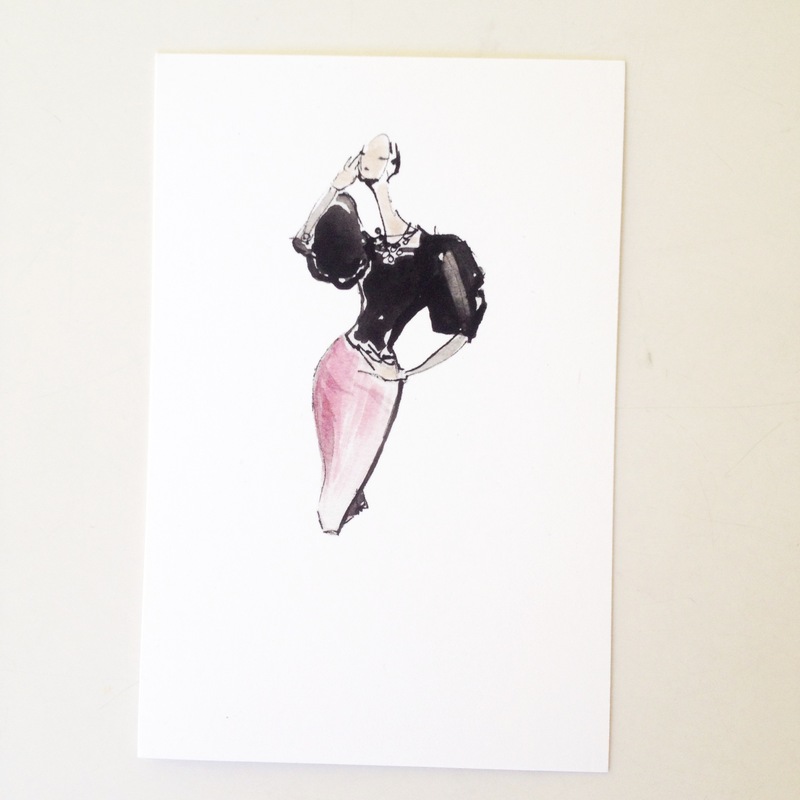 How do you promote your fashion illustrations? Instagram (@JeanetteGetrost) is my favorite way to share my work. I love how accessible and interactive it is. It has really become my portfolio, and has connected me with so many wonderful people. I also feature my work on Tumblr (http://jeanettegetrost.tumblr.com) and sell prints through Etsy (http://etsy.com/shop/jeanetteillustration). What are your career aspirations/goals? I would love to work with magazines, perhaps illustrating editorial content, or with fashion brands creating images for branding and marketing purposes. I feel there is a real demand for illustrators right now, and the possibilities are nearly endless.